Known as “the jewel” of Boston’s residential neighborhoods, Back Bay offers contemporary city living in an historic setting. Tree-lined streets flank some of the City’s best-preserved examples of late 19th grand Victorian brownstones. 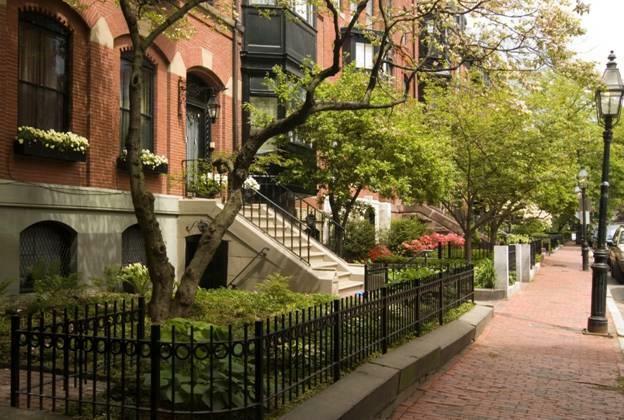 Back Bay is conveniently situated near many of Boston’s acclaimed offerings, including Fenway Park, Boston Common and the Public Gardens, Prudential Center and Copley Place and the Boston Public Library. You can spend your afternoons browsing couture on Newbury Street or taking a scenic bike ride along the Charles River’s Esplanade.